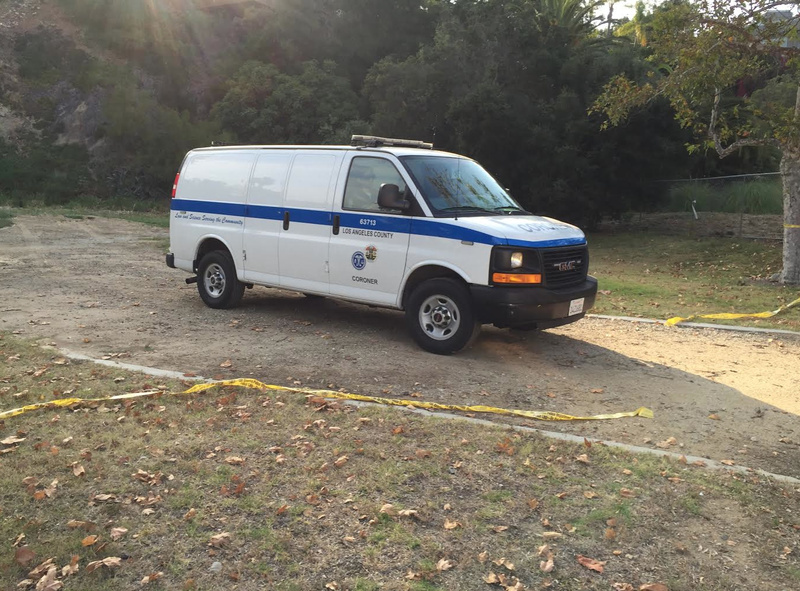 A member of the Pacific Palisades Task Force on Homelessness discovered a deceased man Friday afternoon in Temescal Canyon. According to task force member Patrick Hart the body was found below the Temescal Alternative High School around 2:15 p.m. As of Friday evening, the scene remains under investigation by Los Angeles police. According to the police on scene, the transient, male, black, 6’1″ 175 pounds, was thought to be dead longer than a week–maybe two. Decomposition had set in. Hart, who knows most of the homeless in this area did not recognize the man. L.A. County Coroner’s van on June 24, 2016 in Temescal Canyon. The people who live above that area told police that they had smelled something about two weeks ago. According to Lt. John Radke, homicide investigator, the cause of death was undetermined. “At this point we don’t suspect foul play,” Radke said, noting that the coroner will make the final determination. 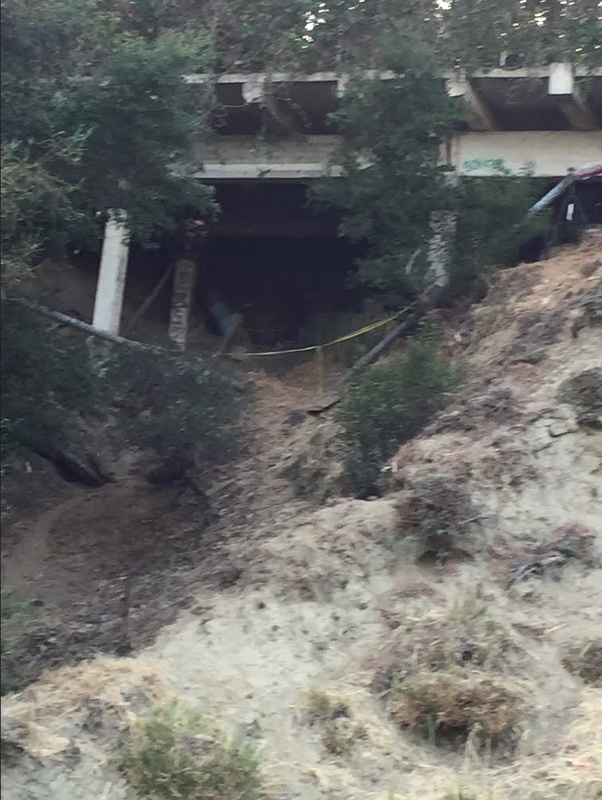 Area of canyon where a deceased male transient was found on June 24, 2016.